On April 18, 2013, the Federal Energy Regulatory Commission (FERC) issued a Notice of Proposed Rulemaking (NOPR) entitled “Generator Requirements at the Transmission Interface,” to revise and expand the applicability of four mandatory reliability standards. The North American Electric Reliability Corporation (NERC) submitted the revisions to the reliability standards to FERC for approval on July 30, 2012. PRC-005-1.1b (Transmission and Generation Protection System Maintenance and Testing). Comments are due 60 days after the NOPR is published in the Federal Register. In 2008, FERC upheld the decision of NERC to register New Harquahala Generating Company as a TO and TOP based on the specific facts surrounding its 500 kV generator tie-line. See VNF’s May 22, 2008 Alert. In 2011, FERC upheld NERC’s decision to register two wind farm generators with tie-lines as TO and TOP, again characterizing its decision as fact-specific. See VNF’s June 17, 2011 Alert. If adopted, the NOPR would change NERC and FERC’s current process of determining on a case-by-case basis whether certain generator owners (GO) or generator operators (GOP) with significant generator interconnection facilities, including generator tie lines, should be subject to specific reliability standards and requirements generally applicable to TOs or TOPs. Reliability Standard FAC-001-1, R1 currently requires TOs to document, maintain, and publish facility connection requirements that comply with NERC, regional, and individual criteria for generation facilities, transmission facilities, and end-user facilities. The NOPR proposes to accept NERC’s revision to apply this standard to any GO that has executed an agreement to evaluate the reliability impact of connecting a third-party generator to its interconnection facility – i.e., where a regulatory body requires a GO to interconnect a third-party generator. Currently effective FAC-003-1 and soon-to-be effective FAC-003-3 both set out vegetation management requirements for TOs. 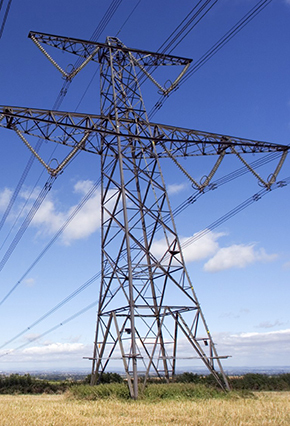 FERC proposes to accept NERC’s revised FAC-003-3, which would extend the standard to apply to certain qualifying overhead lines owned by GOs. To qualify, a line must meet NERC’s “Transmission Facility” operating criteria (i.e. be either operated at 200 kV or higher or identified as an element of an Interconnection Reliability Operating Limit or Major WECC Transfer Path). Qualifying lines must also extend more than one mile beyond the fenced area of the generating station switchyard, or not have a clear line of sight from the generating station switchyard to the point of interconnection with a TO facility. FERC proposes to construe the term “clear line of sight” narrowly, so that lines with partially obstructed views are covered under the revised standard. Currently effective reliability standard PRC-004-2a requires TOs, applicable distribution providers (DPs), and GOs to analyze their respective protection system misoperations and develop and implement a corrective action plan to address such misoperations. FERC proposes to accept NERC’s revision to the standard, which would clarify that, in addition to analyzing generator protection system misoperations, GOs will be required to analyze generator interconnection facility protection system misoperations. Currently effective reliability standard PRC-005-1.1b requires TOs, applicable DPs, and applicable GOs to have a protection system maintenance and testing program in place for any protection system that affects the reliability of the bulk electric system. FERC proposes to accept NERC’s revision, which would clarify that, in addition to GOs that own generation protection systems, the standard would also apply to GOs owning generation interconnection facility protection systems. For other FAC-003-3 requirements, the NOPR proposes an effective date of two years following the first calendar quarter after regulatory approvals. For most GOs, the NOPR will not expand the scope of mandatory reliability requirements. For those generators with interconnection facilities that do meet the criteria in the revised requirements, the NOPR will mark a regulatory shift from a case-by-case to a uniform approach to applying additional reliability requirements to generator interconnection facilities, without requiring affected generators to register for all TO/TOP standards. The NOPR suggests, however, that FERC will continue to require an “individual assessment” of whether other TO/TOP reliability standards apply to “complex” generator interconnection facilities lines, and seeks comment on what constitutes a “complex” facility and how such individual assessments would be performed. Van Ness Feldman counsels generators, electric utilities, power marketers, and Regional Entities on compliance issues regarding mandatory reliability standards and has assisted clients in disputes regarding NERC registration. For assistance or additional information, please contact Andrew Art or any other member of Van Ness Feldman’s Electric Practice at (202) 298-1800 in Washington, DC or (206) 623-9372 in Seattle, WA.